Abel Tasman overnight, enjoy the peace and quiet of the Abel Tasman when everyone else has gone home. 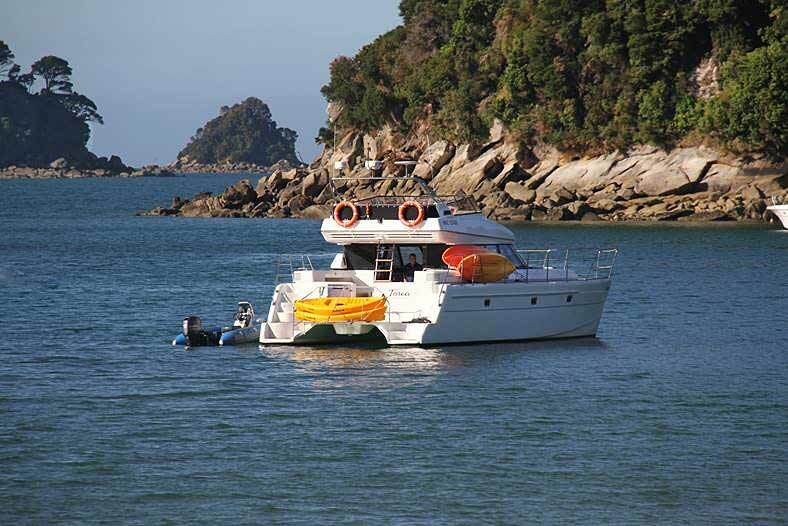 Why Not Spend A Night (Or Two) In The Abel Tasman? 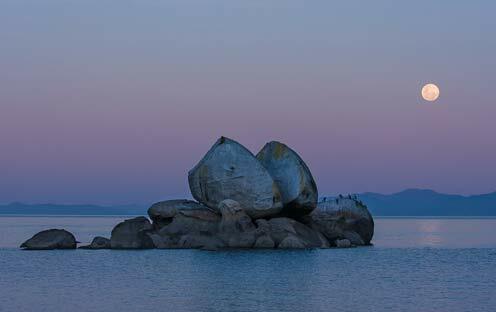 Our overnight option lets you spend a night in the Abel Tasman. 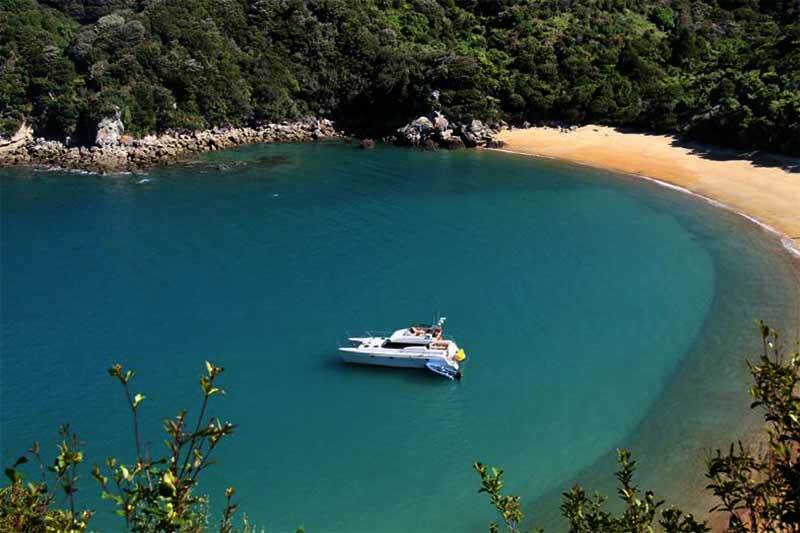 Join us for a scenic cruise and sleep over in the Abel Tasman's aptly named Anchorage Bay. Come and spend an evening on board, get a taste of all the Abel Tasman has to offer from the comfort of an Abel Tasman Charters' boat. You can just stay on board and relax or take one of the kayaks for a paddle. Go for a swim, snorkel over the marine reserve or be dropped off for an evening bush walk when tracks are quieter. Torea is available for exclusive overnight charters to Anchorage Bay. 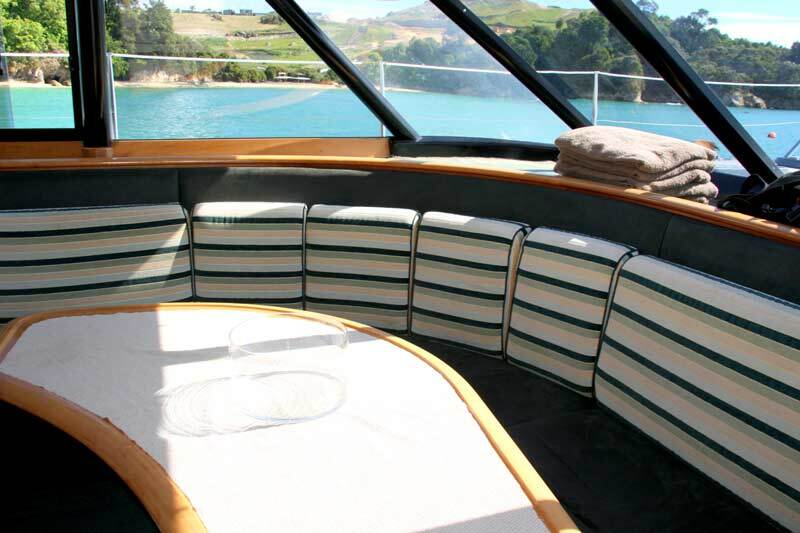 This is a fun charter and combines a cruise with the possibility of sea kayaking or walking in the Abel Tasman before dining on the back deck. 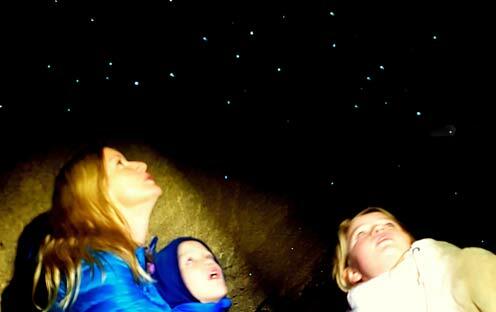 Later, after dark, maybe a romantic walk along the beach to see the glow-worm cave. Or just soak up the friendly Anchorage atmosphere and swap stories over a bottle of the local vintage. After a continental breakfast you may cruise back to Stephen's Bay (by 8.30am), or have a short walk along the forest track or beach before joining our day trip ($285pp extra). Alternatively, talk to us about the many hiking, boating and flying options we offer. Includes scenic cruise to Anchorage Bay, quality bedding, dinner & breakfast. $80 per extra passenger up to 4 passengers maximum. $285pp extra, per person for day trip next day. 2 double-sized cabins with separate bathrooms & 1 king single. 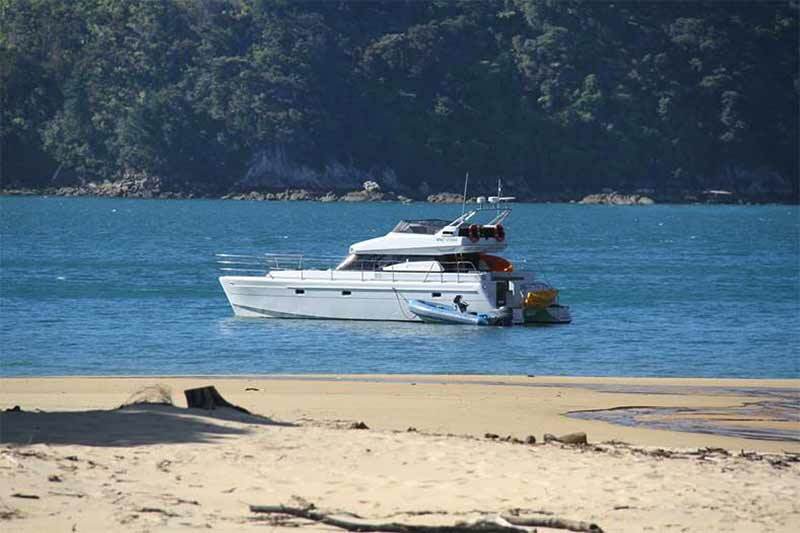 There's so much to see & do around the Abel Tasman, why not charter the boat for more than one day? 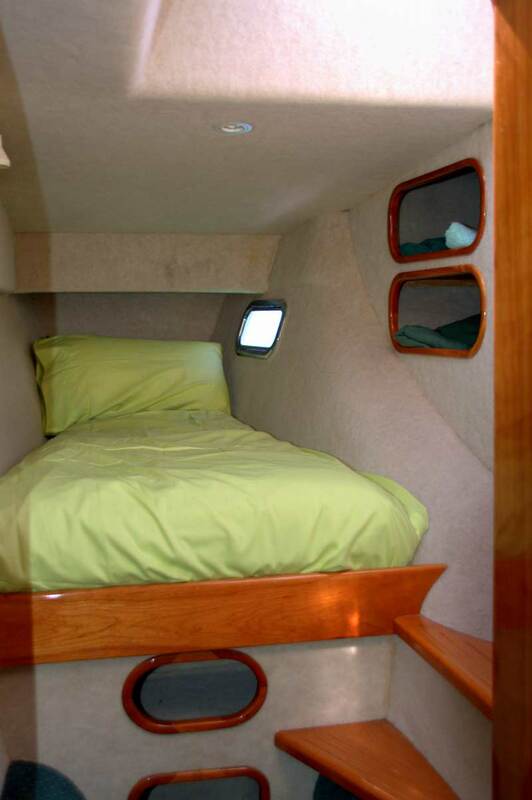 We offer multi-day charters year round aboard our comfortable catamaran Torea. 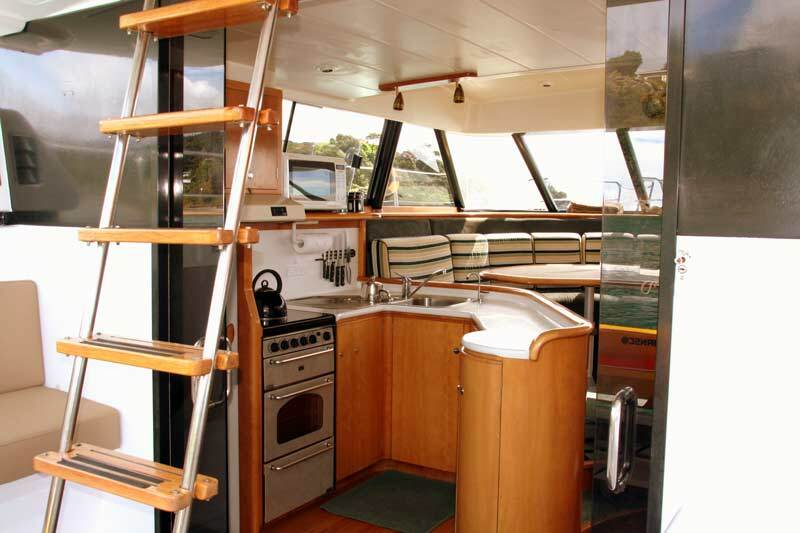 Use the boat as your floating holiday home to really explore the quiet nooks & crannies of the Abel Tasman wilderness - or walk the entire Abel Tasman Coastal Track with the luxury of warm showers & soft beds at the end of your day. The park is in many ways especially beautiful through April to September when the beaches and bays empty of travellers and the wildlife fills the bay. On any given day you may see blue penguins, schools of kahawai, seals, dolphins, spoonbills, terns, oystercatchers, cormorant and flocks of fluttering shearwaters. The Nelson region has often stunningly beautiful winter days with mirror calm water and clear blue skies. 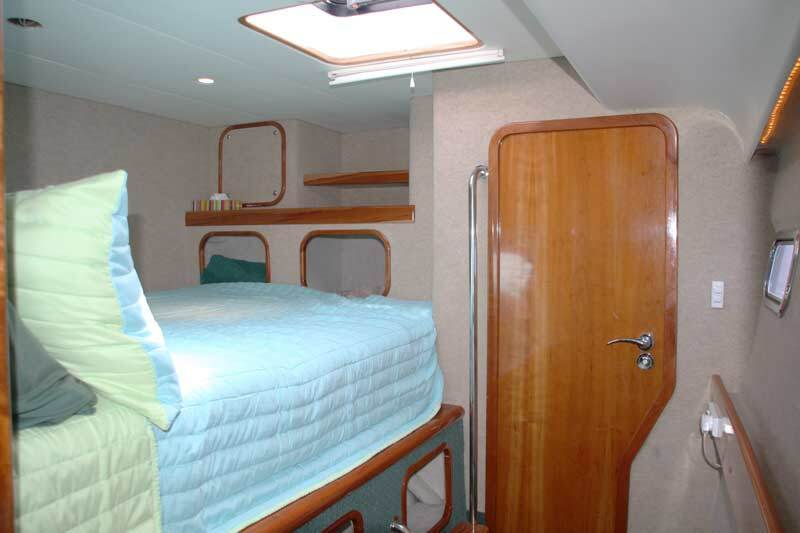 The boat is well designed for winter comfort with central heating, 5 comfortable berths (2 doubles, 1 single) with innerspring mattresses and quality linen provided. 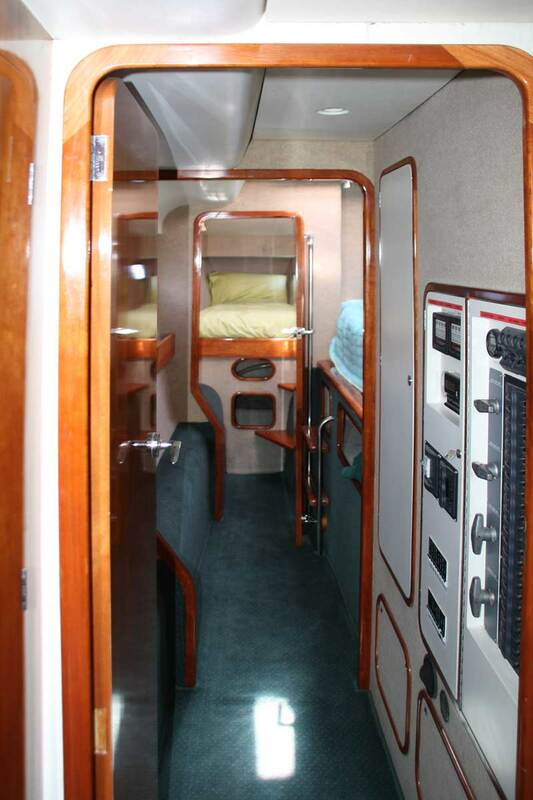 A well designed, fully equipped galley with gas and electric cooking including full sized fridge and freezer. The boat runs on a 230 volt system ensuring all digital devices can be recharged and has a Bluetooth capable stereo. 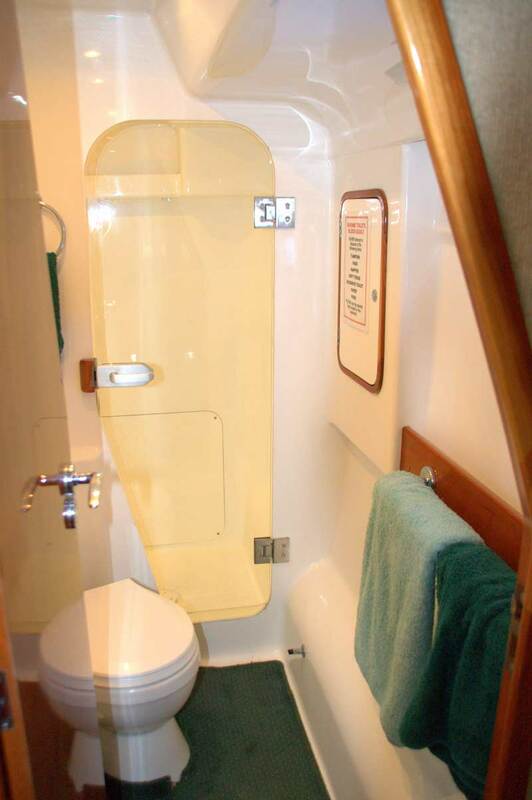 Torea has two bathrooms which include toilet and shower in each. Delicious meals and beverages included. First question of the trip: what did we especially want to see or do? Rod knows the area with its flora, fauna and coastal waters like the back of his hand, as he grew up in the area. He is also obviously very much in love with the place and proud to show off its beauties to folks like us. Our comment back was 'beautiful scenery, birds, and animals; we want to take lots of photos'. He did not disappoint.